The TaylorMade M2 2017 Rescue hybrids were designed to inspire confidence when aligning your shot, as they feature a low-profile design with an unmistakable “M” cosmetic and stepped crown. The large, open-channel Speed Pocket increases flexion for more distance and forgiveness on low-face shots and decreased backspin. 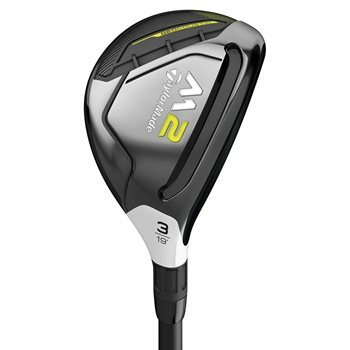 The advanced shaping and two-tiered sole design makes the M2 2017 rescue hybrids extremely playable in all lies with superior sound and feel, a great choice for any scenario you find yourself on the course.